My husband and I have been looking forward to this for a long time: the day we take down two walls and turn the living room into a great room. He’s been hard at work running electrical, working in the attic, and doing all the other small tasks that have to happen before you can do the major tear-down. Then, this weekend we did it! 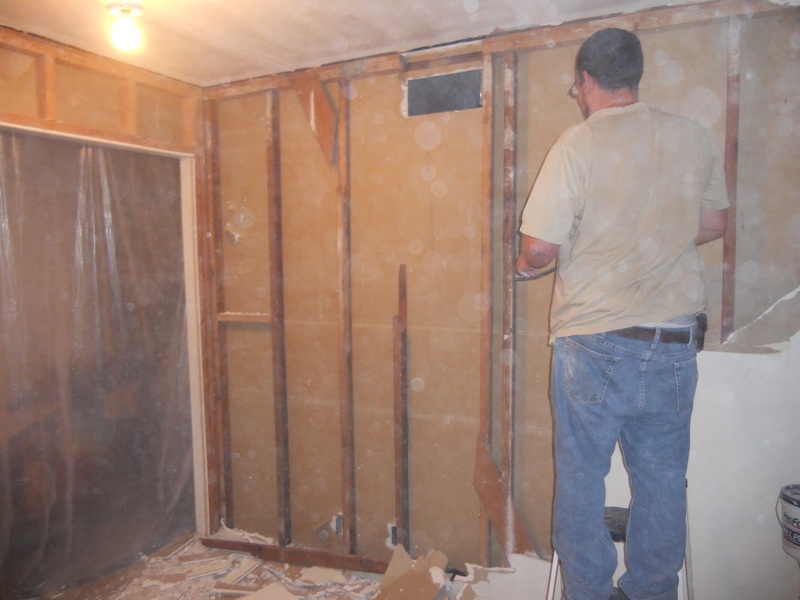 Those walls came down, one side at a time. There are spots in the photos because this sure did kick up a lot of dust. Okay, first photo. 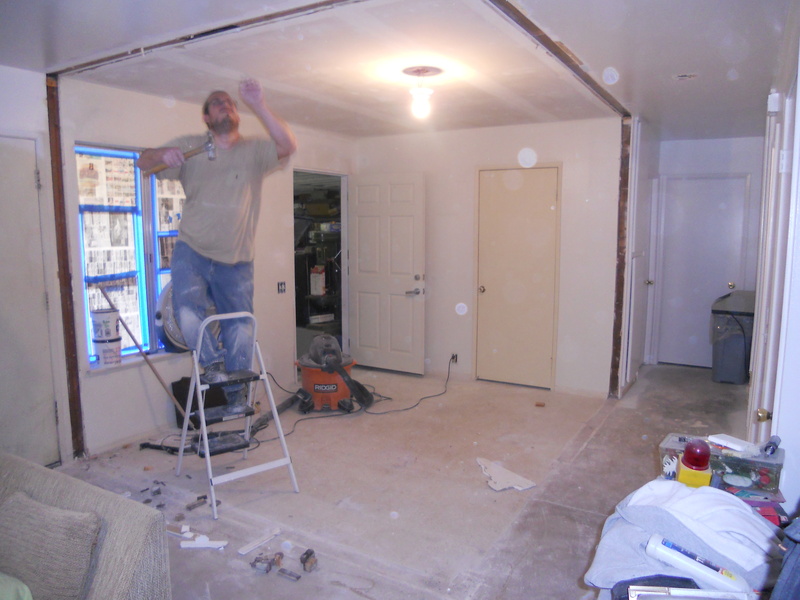 By this time Jeff had scraped the popcorn ceiling down and gotten most of the inside-the-bedroom insulation ripped off. We put the chunks of insulation straight into the rolling garbage bin and hit them with hammers to break them into smaller pieces. Most of the inside drywall fit into the trash that way. 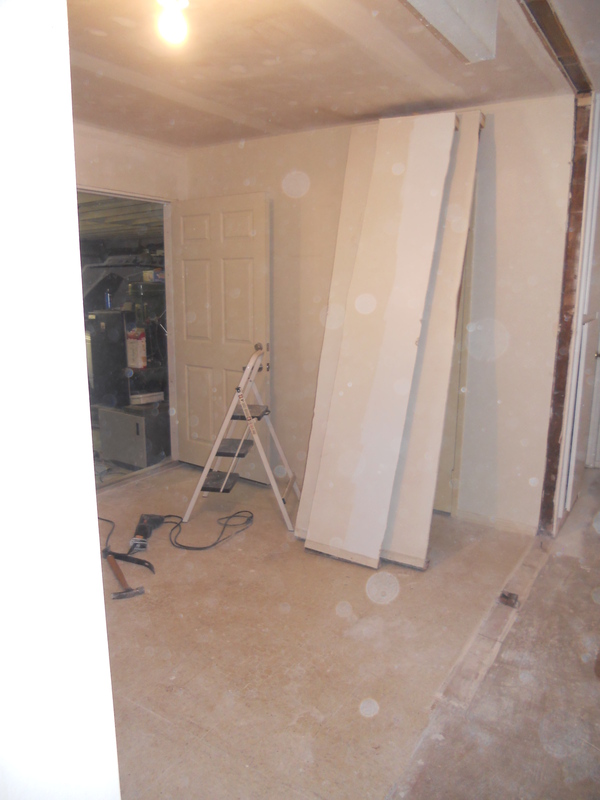 You can also see the plastic sheeting covering the doorway on the left in this photo. We did as much as we could with that up to keep the dust contained. 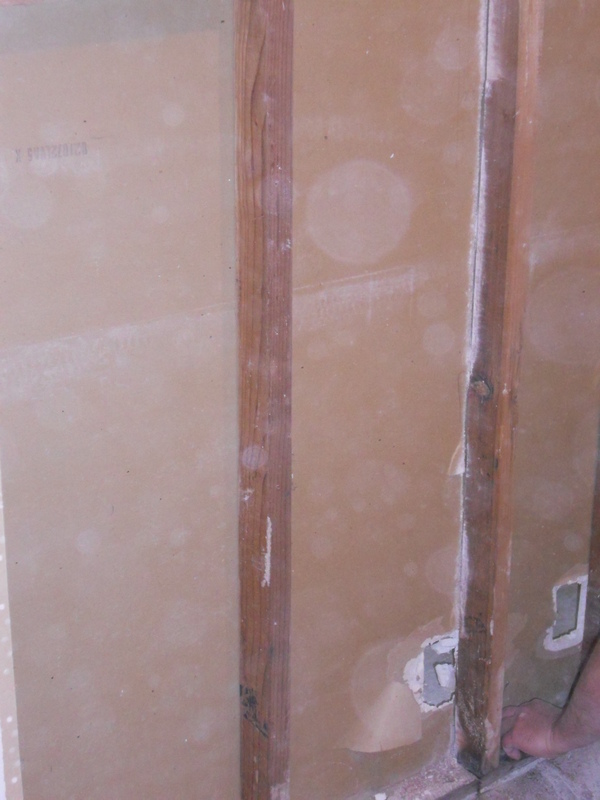 Jeff cut the drywall next to each wooden stud, and then cut the stud from the ceiling and floor. That way we had nice, long, pieces to remove. This was helpful in reducing the mess. Plus, we’d already filled the trash cans. These sections are in the backyard waiting for next week’s pickup. Do you see the sections? One of the walls is gone. Now you can see the door to the garage, which we also installed. Here’s the view from my desk. I’m blogging, facebooking, Pinteresting, and sewing from the living room great room. 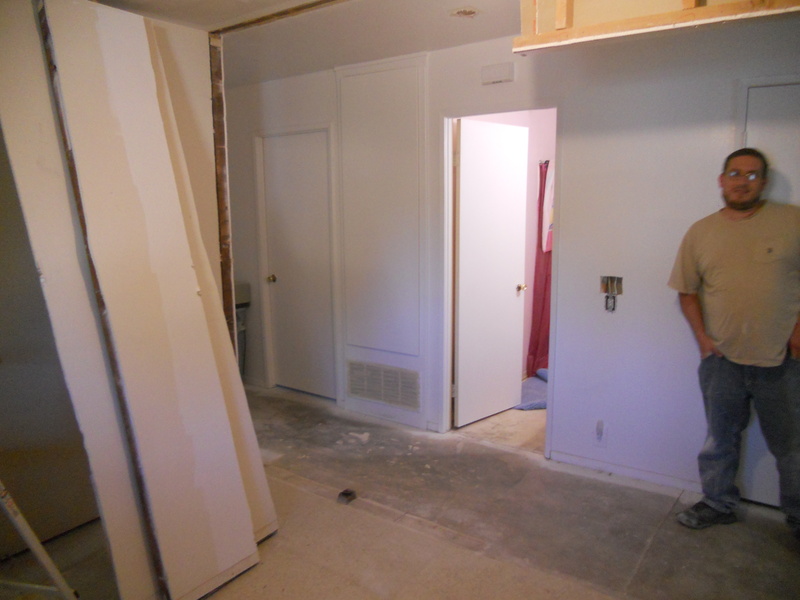 Both of those walls are down, modernizing this house and giving lots more living space. I’ll give you some shots of the whole large room later. Right now we still have all the furniture squished into what used to be all of our living room. We have some drywall patching to do, painting, flooring, etc still. But look at all this S P A C E! This entry was posted in Artist's Studio and tagged drywall, great room, handyman, home improvement, install door, quilts, removing walls, repairs, studs, weekend project on April 7, 2014 by quiltartbymegan.